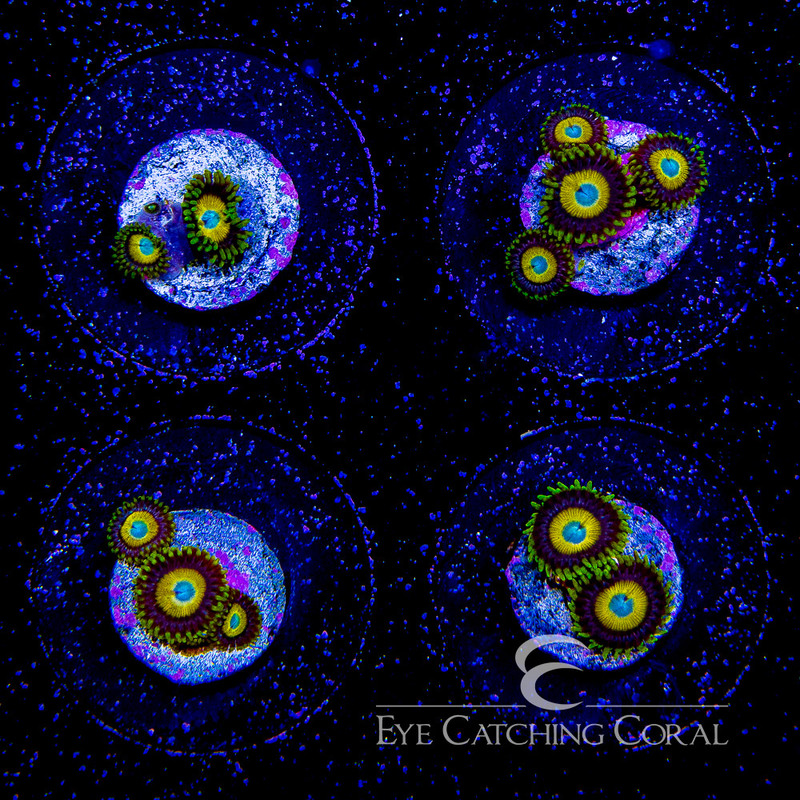 ECC Scrambled Egg Zoanthids have a blue mouth that is surrounded with a bright yellow ring and blue ring with green tentacles. Once settled in these Zoanthis will grow extremely fast. 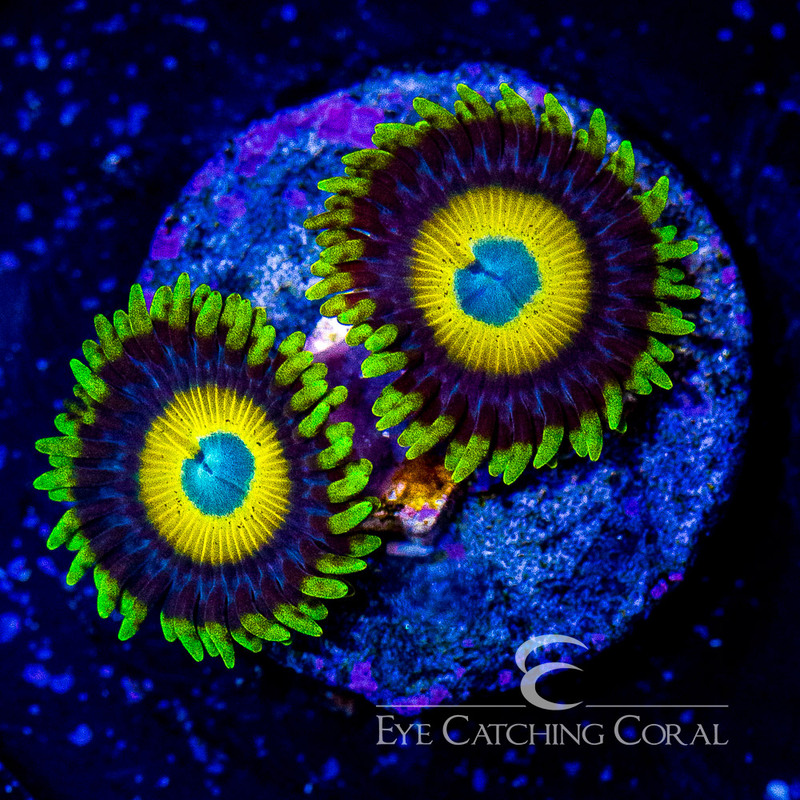 We go this zoanthid at Reef a Palooza 2018.